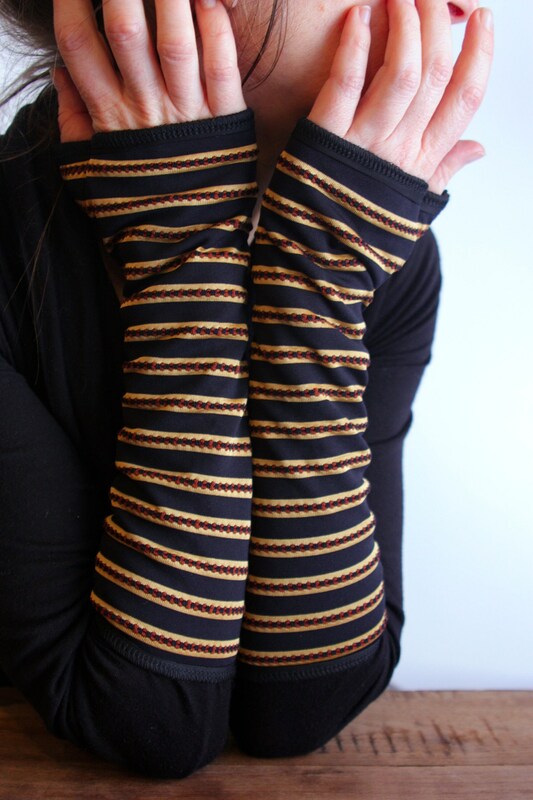 Mitten cuff long - adult Jersey lycra stripe textured gold, Brown and black. These mittens are available simple, unlined if you want thinner and less hot cuffs. Available in the shop.